This last 2 months has flown by – the weather is getting tangibly warmer and we are shedding winter woollies. The MEF workers are mending the derelict swimming pool, to try and generate some income – if it happens it will be a welcome relief as the temperatures will just keep climbing now until late October when the rains arrive. MEF has been very quiet with the students just returning this week from their placements where they were putting the theories they learned in class into practice. Both of the compound groups are busy, ten people from Kamatipa are coming to MEF one afternoon a week for tailoring lessons. There has been a bit of a delay at Ipusukilo as far as opening the water kiosk is concerned. The water company are revamping the kiosks with shelves to turn them into small shops which will take a month or so to sort one out. The women have to move from their usual meeting place too, as the council is changing its use. They are looking for another venue, but it is difficult to find something which is affordable and will shelter them in the rainy season. Last month Simon, one of our MEF drivers, lost his 27 year old daughter to cerebral malaria. This was particularly poignant as she was sent home early from hospital due to a health workers strike, which now, thankfully, is over. Funerals here are quite different from back home. Very few people can afford funeral directors and the grieving family has to make all the arrangements themselves, including picking up the departed person from the mortuary in Kitwe central hospital. The coffin is usually transported in the back of an open lorry. As many of the friends and relatives as possible clamber on too, and it is a daily occurrence to see and hear lorry loads of people singing as they go past on the way to the cemetery. When we arrived at the cemetery we had to wait for the men to finish digging the grave before the service could begin. Unlike the UK this was not a quiet time of reflection, some people were distraught, and due to the number of funerals taking place at any one time, (I think there were about 6 funerals and I guess about 400 – 600 people in the cemetery) it seemed quite busy. Several more lorries arrived during the hour or so we were there. Due to high incidences of disease, HIV/AIDS and malnutrition the average life expectancy in Zambia is still below 40 years. One thing I have yet to come to terms with living here is being confronted daily by abject poverty. Almost every day I have visitors who want something from me in the form of food, gifts or loans; and yesterday was no exception. A lady I knew vaguely, a single mother of two Meeting outside the council building at Ipusukilo who had lost her job 6 months ago, came to see me. She had not found any more work and was struggling to make ends meet. She sat on my settee, a mixture of desperation and dignity. I offered a small sum of money & she just broke – tears of relief flooded down her cheeks & she began to thank me profusely. In the UK I have spent more on a cheap pair of sandals. I was hit by several emotions all at once. Embarrassment, anger, shame and inadequacy washed over me. 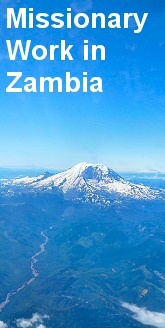 I was again reminded of the love / hate relationship I have with Zambia. I love its people, their resilience and commitment to God and the beauty; but hate the injustice, corruption and unassailable poverty that I am so often confronted with. This is where I am grateful for your prayerful support. 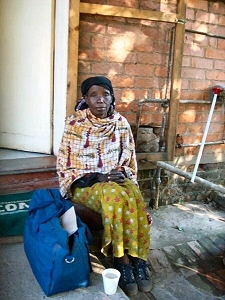 It is so easy to get used to the abject poverty in Zambia and harden your heart to the many outstretched hands. Your prayers help keep me sensitive to my privileged position, thank you. For a solution for Samuel who is unable to continue his IT course due to lack of funds. For the students as they recommence studies. For wisdom for the Rev Reuben Dakka MEF director as he struggles to increase funding and resources for Mindolo. The income generation efforts of the groups at Ipusukilo and Kamatipa to be successful. The safe and successful visit of friends from New Marcher Church Aberdeen, who have taken a flavour of Zambia back with them. The speedy recovery of Rev Elspeth Mclean from her serious operation. The continuing interest and support of friends and church members in the work in Mindolo.